I was thinking the other day about fairy tales. In particular how kissing has been used to break charms and spells through countless stories. Snow White is poisoned and lays there for all intents dead until the prince comes and kisses her. At least that's how it happens in the Disney version. In the original a piece of apple comes dislodged from her throat as she's carried away. Disney calls this wakening with a kiss romantic, I call it necrophilia, apparently it's a thin line. Sleeping beauty pricked her finger and fell asleep for a hundred years, dragging her kingdom to dream along with her. What a recommendation for democracy. No way would anyone willingly vote into power someone whose daughter had the power to make an entire nation go to sleep. So 100 years pass and some prince who knows of the story decides to go and wake her up. Once again a kiss is the weapon of choice. This time at least he isn't hot for a dead woman. He's just got a thing for older women. Severely older women. Add to these all the dozens of versions of people kissing frogs and changing them into royalty and back again. You remember awhile back when licking toads to get high was a fad? One has to assume that all those fairy tales came from somewhere. My question is, how stupid were the witches and magicians and trolls of old? You take all the time in the world creating the most powerful magic on earth and then leave a loophole as easy as a kiss? Give me a break. If you want to make sure no one breaks your curse. Don't let Ariel get her voice back just because some idiot snogs her. Make them work for it. At least force them to cut off a hand or a foot for the woman/man they love/lust. 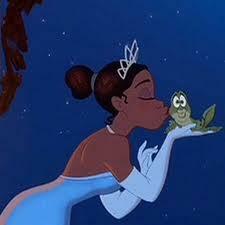 You think you have a chance of winning when there's some stupid little crab singing 'kiss the girl'?